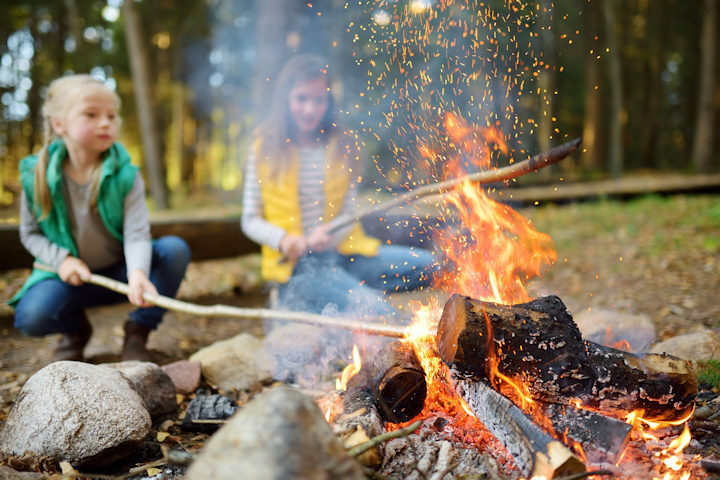 Thread: Do You Go Camping With Your Family? What tips do you have for keeping it frugal? We just started planning a long trip today from here in northern Minnesota to Olympic NP and the PNW. We're estimating 5,000 miles and 20 nights. Gas is by far our biggest cost, which we calculate by dividing total miles by our truck's mpg and multiplying by anticipated cost of gas per gallon. For price per gallon, we use 2 or 3 different prices. Today, it was $3 and $3.50. This accounts for fluctuations in pricing for various reasons. Better to overestimate than under. Cost of campsites generally average around $25/night in state and federal campgrounds. I think that might be higher in the eastern half of the US. Private cgs are generally much more expensive. There's not much way to cut that. I think some cgs offer discounts for vets or active duty. There's a senior discount card available for federal parks. We purposely stayed with a hardside popup camper to avoid the drag of having to tow a full height trailer which helps keep fuel costs lower. Our Aliner is low enough to draft behind our truck, so does not catch wind. We lose 1-2 mpg when towing. Full height trailers can cut mileage by 25%. We don't drive over 65 mph for safety and fuel economy. More speed burns more gas. We eat pretty much the same thing when we travel as we do at home. Therefore, we don't include food in our trip costs, since we would not be fasting if we were home, so the expense is the same. I pack food for the first week of a trip using food from our pantry and freezers. Before leaving home, I create detailed menus for the entire trip. From the menus, I create detailed grocery lists for any additional weeks. We buy groceries once a week, generally. We like WMs when we travel, because they are usually easy to find right off of highways, have big, trailer-friendly parking lots, and have predictable products available. Sometimes we do shop smaller local stores. We stick fairly close to our list, but sometimes try local foods smaller stores may offer. Having detailed lists helps avoid buying too much food or the wrong foods, so it saves money. We bought our camper new because they're HTF, but it's been set up mostly using items from thrift stores and garage sales. Items which could not be found secondhand were purchased new, but on sale where possible. I have sewed a ton of stuff for all our campers to save money, including an Add A Room for our first popup. I currently am modifying an AAR for the Aliner. I purchased that on eBay NIP but deeply discounted. I think camping can be relatively inexpensive, but IMO it's hard to do it comfortably without spending a fair amount of money. A lot depends on your own camping style, but quality gear can be expensive. Once you have the gear, it can be fairly inexpensive to go, and it's a good idea to start with the basics and add more gear as needed. It seems to me that the initial costs for the camper and equipment would only be worthwhile if you did it fairly often. If you just wanted to try it once or twice, it would probably be cheaper to rent a cabin or stay in a lodge at a national park. If you are close enough to do it as just an overnight trip, you could probably do it with just a tent and some minimal equipment. You could just shower when you got back home. I have a coworker who goes to ski resorts in the summer. She says they are great places for hiking and the room rates are pretty low off season. Camping is an investment, for sure. A lot depends where and how you live and how you want to camp. It's fairly easy to pick up used gear here at decent prices, if you're patient and go to rummage sales. Most of the outfitters here have annual fall sales of their used gear. Garage sales are also a great way to get cheap gear. Of course the costs go up if you move beyond tent camping. But it's still possible to camp fairly inexpensively even with a camper. If we drove our truck for the trip above but did not drag our camper along, we would save only about $250 on gas for the entire trip. Kennel fees alone here are $20/night/dog x 21 nights = $840 we don't spend because they travel with us. Our camper is slowly paying for itself, since we also save a ton on food, and camp fees are about 1/10 what an average hotel room would cost during tourist season. Places like Yellowstone are much more expensive for hotels. There are so many camping styles it's impossible to generalize costs and value. Many campgrounds offer showers, so no need to wait for home. Many campers have onboard showers. I added a shower to our last canvas popup myself. It's taken me a few years but I'm almost done figuring out and constructing an indoor shower for our Aliner. It already has an outside shower and we have a shower tent to go with it, but have never used it. Mostly we use the cg showers. There are also lots of methods and products for keeping clean with little or no water. Camping is like many other hobbies, and can be astronomically expensive or done on a shoestring, with lots of variations in between. Does your cell phone go with you everywhere you go? Let's Go Go Go White Sox!!! !